In his fourth book on spiritual life, Swami Ramakrishnananda delves deeper than ever before into the essential spiritual principles elucidated by his beloved Satguru, Sri Mata Amritanandamayi Devi. 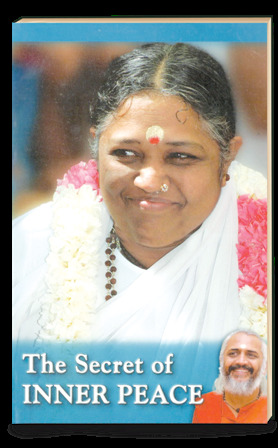 Looking at Amma's life, we learn how to make the most of our own life. Even while remaining engaged in our day-to-day relationships and responsibilities, we learn to enjoy the inner peace that is our true nature. With characteristic wit, lively examples and profound insights and experiences gleaned from 29 years of living with Amma, Swami Ramakrishnananda outlines the shift in focus—from the apparent to the Real, the temporary to the Eternal—that is the secret to inner peace.